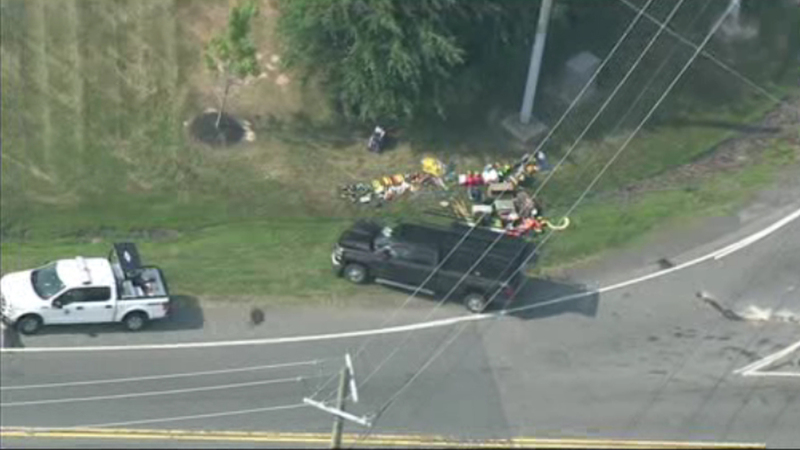 Delaware State Police are on the scene of an accident involving a bus carrying children. DELAWARE CITY (WPVI) -- Delaware State Police continue to investigate a two vehicle crash involving a school bus with 15 children on board. The crash occurred at approximately 3:28 p.m. Thursday at the intersection of Wrangle Hill Road and River Road. 32-year-old Althea A. La-Rose, was driving the school bus and was attempting to make a left hand turn when she drove into the path of a pickup truck, driven by 24-year-old Leroy Esh. The front of the pickup truck struck the right side of the bus, which was carrying 15 children ages 6-11 years old from the Passion Care Day Care Center in Bear. All of the children were transported to a local area hospital as a precautionary measure. One child was treated for non-life threatening injuries. Neither Esh or La-Rose were injured in the incident. La-Rose was cited for Failure to Yield Right of Way to Oncoming Traffic.